Iranian military vessels have close encounter with U.S. surveillance ship in Strait of Hormuz. Iranian military vessels had a close encounter with a U.S. surveillance ship in what U.S. officials on Monday told CBS News was both an “unsafe” and “unprofessional” maneuver by the Iranians in the strategic Strait of Hormuz. The encounter took place on Saturday, according to the report. It involved the USNS Invincible, which is outfitted with sonar to track submarines and radar to monitor missile tests. The ship was transiting the Strait of Hormuz when it was forced to change its course to avoid a small group of Iranian Revolutionary Guard fast boats that had positioned themselves in front of it. The “unsafe” encounter came just two days after an Iranian navy frigate came within 150 yards of the Invincible in the Gulf of Oman, just south of the Strait of Hormuz, according to CBS News. 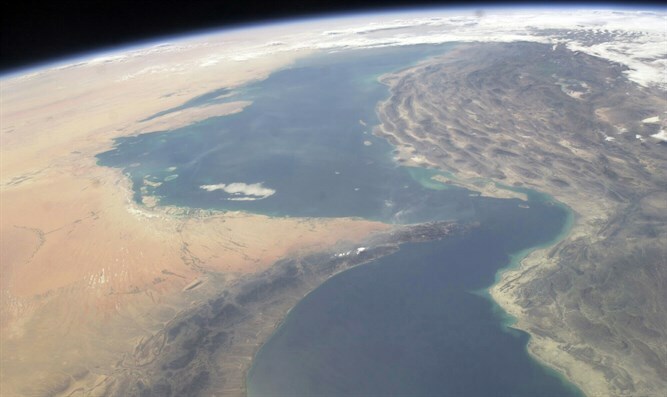 The gulf separates Oman from southeastern Iran. The earlier encounter was deemed “unprofessional” but not unsafe because the frigate maintained a parallel course with the Invincible at the point of closest approach. The Saturday incident was also more worrying as it involved the elite Revolutionary Guard unit. Iran has escalated its rhetoric against the United States, after the Trump administration imposed new sanctions on the Islamic Republic in response to a ballistic missile test it conducted in violation of UN Resolution 2231.